Attorney-General and Minister for Economy Aiyaz Sayed-Khaiyum while briefing Members of the Parliament on the 2018-2019 budget on July 3, 2018. Photo: Ronald Kumar. 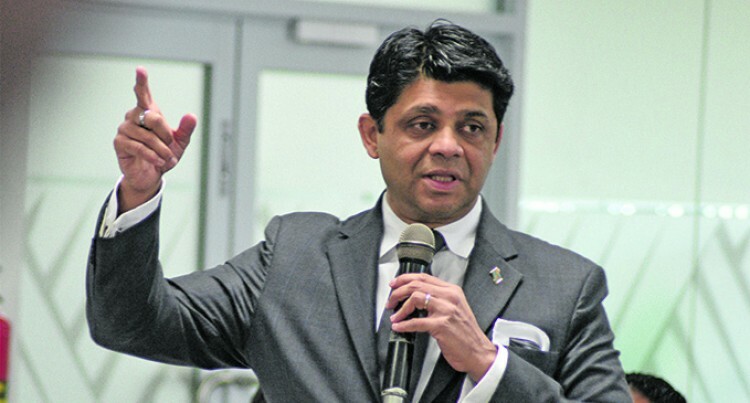 Attorney-General and Minister for Finance Aiyaz Sayed-Khaiyum says about 25,000 Fijians do not have a birth certificate. He highlighted this when briefing the Members of Parliament on the 2018-2019 National Budget yesterday. Mr Sayed-Khaiyum said a few years ago, they did a sweep across Fiji, including Lau, Lomaiviti, some parts of Vanua Levu and Viti Levu and they found that some were as old as 55 years to 68 years old living their entire life without a birth certificate. He said that they had also seen that before schools started, there would be a long queue outside the BDM office. They have to open the offices till 8pm or 9pm and even open on Saturdays. This was because many parents register their child only before they are about to go to school. “So parents will have the hospital card and they will keep it. When they are about to go to school then they register them,” he said. Mr Sayed-Khaiyum added that with its aim to encourage savings and to ensure that Fijians were registered, the Government had allocated $5 million towards Parenthood Assistance Payments in the Budget. This means mothers will be granted $1000 upon the birth of her child. However, the grant also has its conditions. He said that the baby will have to be registered at the BDM office, have a birth certificate, and then mothers are entitled to have a $1000 grant. Only $500 can be used initially, the second $500 sits in the bank account which can only be used once the child goes to Year One. The bank account is going to be in the child’s name, but the mother will be the signatory to the account. He said that there would be no account fees, but there would be a small interest. The money will accumulate for six years. The grant is only applicable to mother’s from families with a household income of below $30,000.